My latest PopMatters article is now live: Prepping the 3D Audience. It seems common knowledge that software sells hardware. If there were enough interesting 3DS games on the market, then maybe Nintendo would have higher than expected sales numbers. 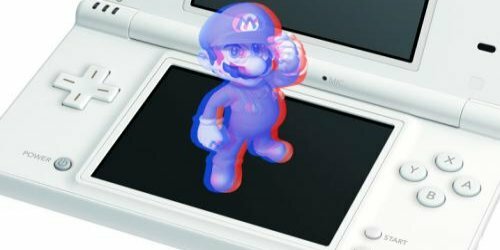 I personally know only one person with a 3DS, and they have abandoned the handheld since launch. The 3D market is languishing because there are no great games on the platform, but that is but one reason. We quickly get stuck in a chicken and egg problem when we ponder the dearth of quality 3D titles. Is the 3D consumer market too small because there are not enough interesting games? Or are there not enough interesting games because developers and publishers believe the 3D consumer market too small? Clearly both are problematic. Even now, upconversion of film to 3D is commonplace and often poorly implemented. Yet the sales boost from these conversions have generally rewarded producers with increased revenue. For the most part, we have come to expect a slew of gimmicky 3D films, with a few nestled gems hidden within (Did anyone else love How To Train Your Dragon?). Developers and publishers must overcome this expectation of 'gimmickyness' we have built up. I have no doubt that, done well, 3D gaming technology could greatly enhance a gaming experience. Indeed, games built specifically for 3D could be commonplace amongst the best games released every year. Yet game developers and consumers must be convinced of the technology's value. This process does not require a title of epic proportions, a 3D Halo or the like. What we need is a designer or development team willing to experiment, to take a risk on our behalf simply to explore the technology's potential. We need a James Cameron or Scorsese who can not only push boundaries but teach others how to better employ 3D visuals. Who would I like to see become these spokespersons? I would pick Ken Levine, Jenova Chen, and Cliff Bleszinski as my vanguard. Who would you choose to prep our 3D gaming audience? Interestingly, 3D films seem to be experiencing a precipitous slide in terms of box office revenue. Perhaps this lends strength to your call for an approach that utilizes 3D from the bottom up? It seems like the only popular 3D films are projects like Avatar and Transformers 3, both of which had huge marketing campaigns to back up their embrace of 3D. I still maintain that the technology needs more work; unintentional blur, washed out colors, and headaches never improved anything. I have a few guesses as to who might lead us into the 3D gaming era. Historically speaking, Nintendo is a safe bet. Nintendo's games demonstrated the benefits of technology like control pads, battery backups, analog sticks, force feedback, dual-screens, and motion control. In my mind, if Nintendo can't figure out how to use 3D effectively we're in big trouble. That being said, I like the idea of Jenova Chen. Levine and Bleszinski are both very conservative creators in some respects, but Chen has a history of creativity and unorthodoxy, not just in terms of design but on a higher conceptual level. I'll also be interested in seeing how Uncharted 3's 3D visuals are received. If anyone can make the technology work, it's Naughty Dog. Overall, Sony seems to be trying very hard to foster a climate friendly to 3D. Finally, what if something wild happens and Apple starts making 3D devices? With the popularity of the App Store, legions of developers will have an incentive (if not a mandate) to create games that use 3D. Just as iOS is shifting the medium, iOS-3D could effect a similar change. With all this in mind, I still think 3D faces a more basic challenge: the physiological one. I've read things on both sides of the debate, but some argue that the nature of the human eye is such that seeking to create a sharp, non-headache inducing 3D image is a fool's errand. Personally, I can't think of another piece of film/game technology that is so fundamentally uncomfortable while still enjoying a huge push from the media companies. It all carries the stink of desperation on the part of the film studios and the electronics manufacturers; the economy is terrible and people have stopped buying things, so they must be enticed into embracing a new piece of technology, regardless of it's practical application. If we could skip 3D and get straight to holograms, I'd be all for it. I'm not sold on the 3D angle. I don't think it adds enough to movies to make it worth the tech expense or the ticket price, and I don't see it doing enough for games, either. It's that back end that's important to me; if the devs are spending time and money on tech that has such a small payoff, what are they sacrificing? Good design? Good art direction? Fast product cycles? Similarly, I've resisted the high-end art in games for a while now, even speaking as a game artist. I'd rather have a game that's incredibly fun to play with tons of content with merely good visuals than a game that's visually outstanding but only packs a four hour experience with poor gameplay. I lean strongly to the stylized graphic end of the "Uncanny Valley" landscape. ...and now I wonder if there's an "Uncanny Valley" to be tripped over in the chase for 3D "reality". Hrm... if I were a better pundit, I'd parse that thought into a new meme. Something like "will 3D fall into the concept space production trap that the Uncanny Valley represents in human representation?". There's something there that might be expressed as a higher order of production risk and reward variable curves within design space that the Uncanny Valley theory and 3D development might just be instances of. Sort of the 80/20 production rule, perhaps, just with a "human perception" axis projected onto it.